A hackathon is a high intensity brainstorming session in which innovative solutions to complex problems are developed. In the Golden Rule model, we combine the benefits of cross-disciplinary, design thinking methods and inclusion to elicit more robust and actionable ideas for participating organizations. 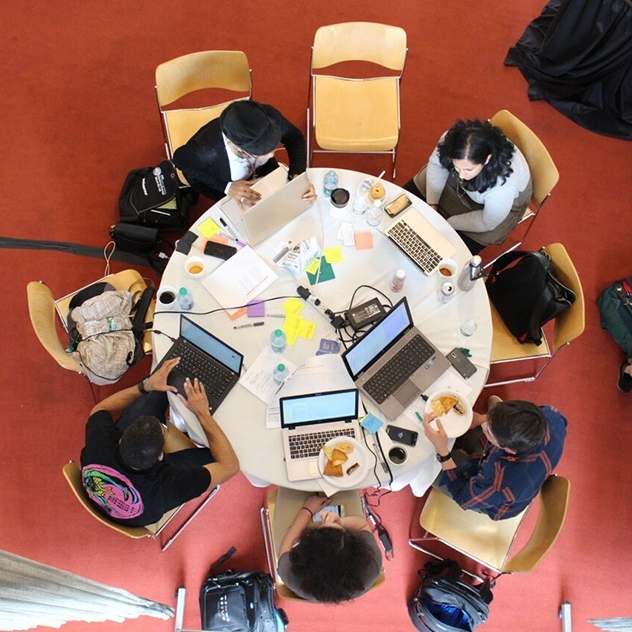 In a hackathon setting, students from varying colleges and universities along with academics, professionals, and people from the community come together to work on discrete challenges where bias, or the absence of divergent thinking, is a factor and technology can be applied to the solution. Design thinking utilizes elements like empathy and experimentation to arrive at innovative solutions. By applying this to our hackathon model, it enables participants to make decisions and recommendations based on a fundamental understanding of the need and the problem. What is the point of Design thinking Hackathons? Spearheaded by Elaine Harris and Lisa Egbuonu-Davis in partnership with the MIT Alumni Association, aimed to find technology-based solutions to address discrimination. Let’s talk about how this design thinking, innovation approach can be used to address internal or external challenges related to bias or inclusion.